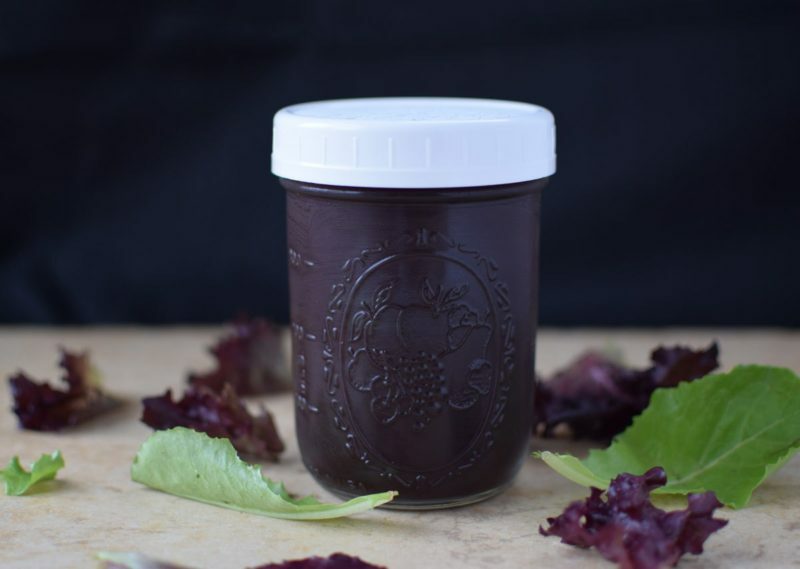 Cabbage juice recipes are not at the top of most people’s favorite recipes list. But they should be. Oh, they so should be. Raw cabbage is rich in Vitamin U, which isn’t actually a vitamin so much as it’s an enzyme. But whatever you want to call it, this obscure vitamin strengthens your stomach lining and increases its resistance to ulcers. Cabbage contains the amino acid glutamine, which aids in the growth and regeneration of your digestive tract’s cells. Cabbage is abundance in sulfur, which helps combat inflammation in the colon and large intestine. Ever had an ulcer? Then you know that one of the major causes of ulcers is the h.pylori bacteria. Cabbage helps get rid of that pesky bugger. As you already know, the health of your gut impacts the health of your entire body so by strengthening you digestive tract, you’re getting a whole host of head-to-toe health benefits. But in case you need another reason to try your first cabbage juice recipe – here it is: raw cabbage contains glucosinolates which have been shown to have unique cancer-preventative properties for bladder, colon and prostate cancer. The compounds in cabbage are also thought to change the way estrogen is used in the body, reducing the risk of breast cancer as well. This benefit only applies to raw cabbage since heat destroys the myrosinase enzymes that help convert cabbage’s glucosinolates into cancer-preventive compounds. And let’s face it – it’s much easier (and tastier) to down a glass or two or raw cabbage juice than to sit around chomping on a head of cabbage, right? Right. Here are some of my favorite cabbage juice recipes to get you started. You should know that every single one is waaay tastier than cabbage juice has any right to be. 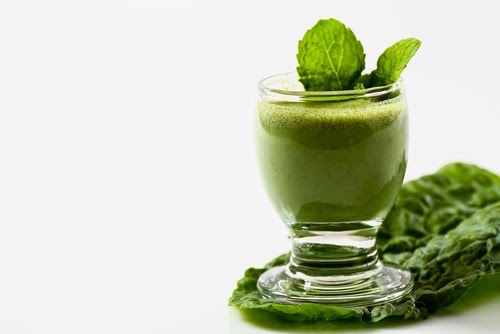 Get the benefits while enjoying the look and taste of this beautiful cabbage juice recipe, that’s sure to make you feel clean from the inside out. 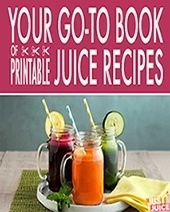 Read more healthy recipes and inspiration here! Now don’t get the wrong idea! This recipe isn’t deadly; not at all! But it will kill whatever cold you have coming on (and knock out your tastebuds) with the tasty and nutritious deliciousness of cabbage along with a couple added ingredients. Read more healthy recipes and inspiration here. Who says cabbage juice doesn’t taste good? This cabbage juice recipe begs to differ. Process all ingredients through your juicer. Consume strained or unstrained. Whatever your preference. Cabbage is rich in iron and sulfur, is an excellent source of vitamin C, a good source of vitamin A, and is a great muscle builder and blood cleanser. It is also fabulous for skin and eye health. 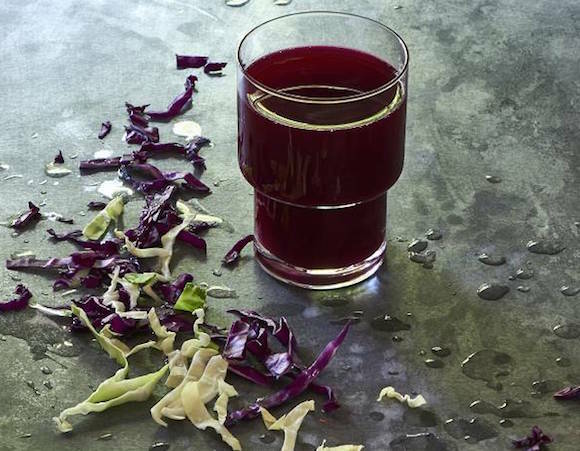 This red cabbage juice recipe combination with other “red” ingredients creates a great pick-me-up drink for juicers alike. Pour juice into ice-filled glass and serve immediately. 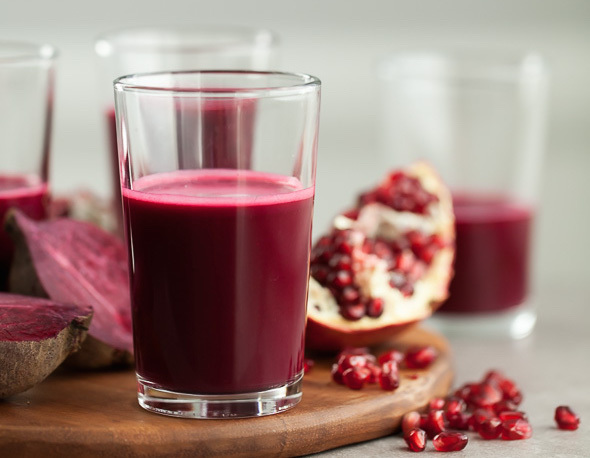 A sweet-tart combination of pomegranate, beets, red cabbage and ginger. 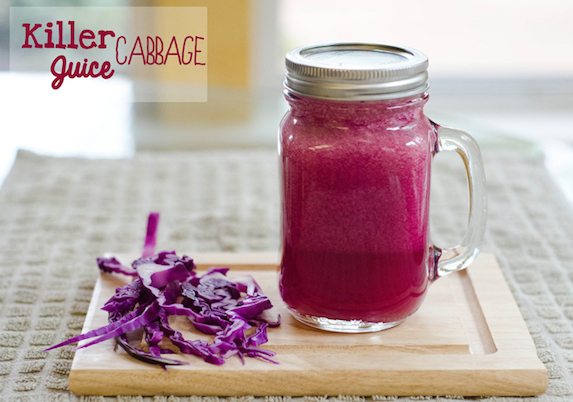 You can never go wrong with a simple classic cabbage juice recipe. Wash, cut and blend together.Directly drinking is good so all fiber gets into body.But if you don’t like, strain it. 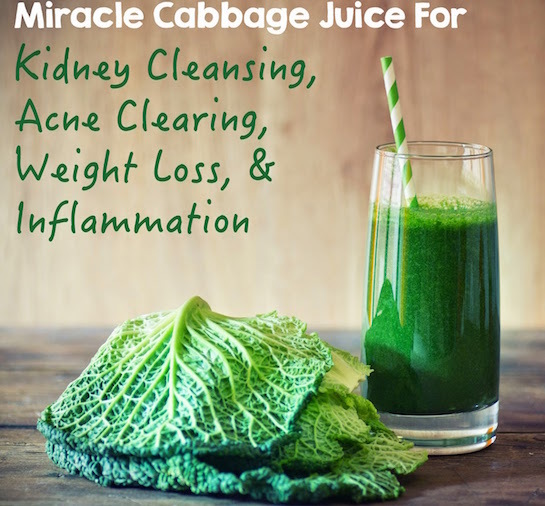 This cabbage juice recipe packs a whole lot of health benefits for kidney cleansing, acne clearing and weight loss all in one drink. 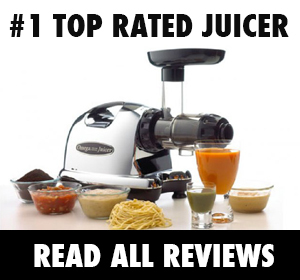 Run the above ingredients through a juicer such as the Omega, and enjoy immediately! Likewise, you could also blend this up in a Vitamix and strain the pulp with a nut milk bag. If you want beautiful, glowing skin, and a slim body devoid of aches and pains, then you MUST include this highly nutritious vegetable in your diet. I must admit..I have been slacking on the cabbage eating the last two years, but after reading about the incredible health benefits of this vegetable, I have now avidly included it in so many recipes. 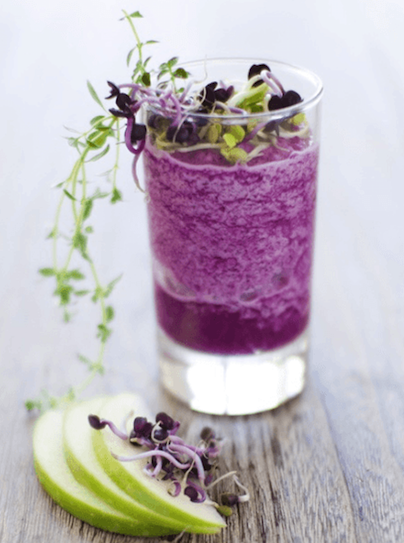 This beautiful purple juice is anti-cancer and nutrient packed. 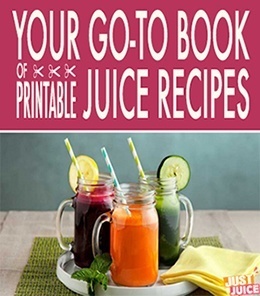 Chop all ingredients and process through juicer. Read more about the benefits of this juice here! Did you know that red cabbage is loaded with Vitamin K and has numerous anti-cancer compounds? Its natural red coloring has been linked to lowering blood sugar levels. So throw your inhibitions to the wind and tip back this Grand Daddy Purple Juice. what is ‘delish’ cabbage? Is it some kind of slang for ‘delicious’? I wish people would stop using abbreviations for everything these days, for people who are not ‘trendy’. Would be nice to have a PRINT button. Who wants to copy by hand all these recipes . . . . NO THANKS!